Adam L. Browser | Ruskin Moscou Faltischek, P.C. Adam L. Browser has extensive experience in civil and sophisticated commercial litigation, including trials and appeals, covering a wide variety of industries. His broad litigation experience includes disputes involving construction, real estate, contracts, partnerships, financial services, landlord-tenant, collections, insurance and title claims. He also regularly represents owners, contractors and subcontractors in negotiating and drafting construction agreements. Mr. Browser frequently lectures and writes on the topics of litigation, construction and creditor’s rights. 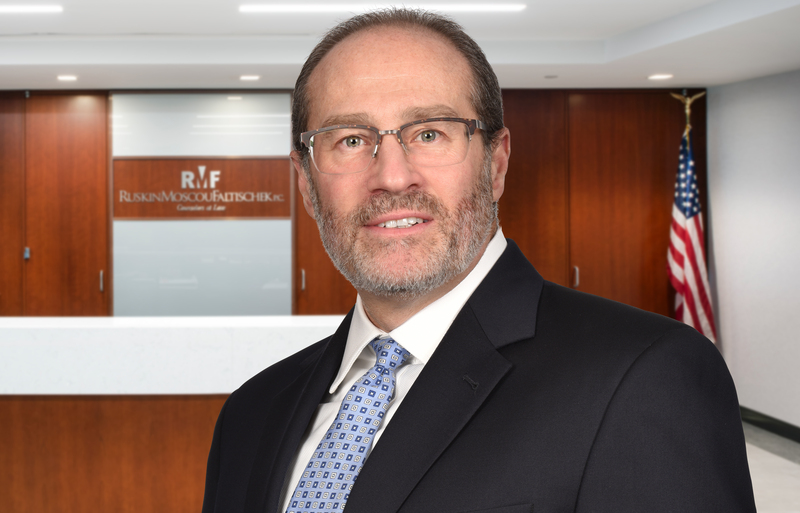 Adam serves as of counsel to Ruskin Moscou Faltischek P.C., where he is a member of the firm’s Litigation and Financial Services, Banking & Bankruptcy Departments and its Construction Practice Group. Prior to joining Ruskin Moscou Faltischek P.C., he represented national financial institutions, including many Fortune 500 companies, in foreclosures, workouts, bankruptcies, evictions and title claims. After graduating with honors from the State University of New York at Binghamton, Adam attended Hofstra Law School where he was the managing editor of the Hofstra Property Law Journal. He was recognized as a Pro Bono Attorney of the year by Touro Law Center in 2019. Adam serves on the Board of Trustees for Temple Beth David in Commack and formerly was on its Executive Board. He is also currently on the Board of Directors of the National Association of the Remodeling Industry, Long Island and City of New York chapters. Adam is also an active member of the Hofstra Law School Career Services Alumni committee and is a member of the Nassau County Bar Association, active in its Commercial Litigation and Construction Law Committees. He was formerly the chairperson of the Nassau County Bar Association’s Construction Law Committee and Lawyer Referral Committee.